A tire-burning terror with a very friendly price tag, Chevrolet's Camaro coupe and convertible are the modern day heirs to the 1960s-era musclecar throne. They are also unapologetically American. Be it the pure performance of the 580-horsepower ZL1 or the 323 ponies in the most basic V6 version, the 2015 Chevy Camaro never fails to excite. Nice car with slight problem. 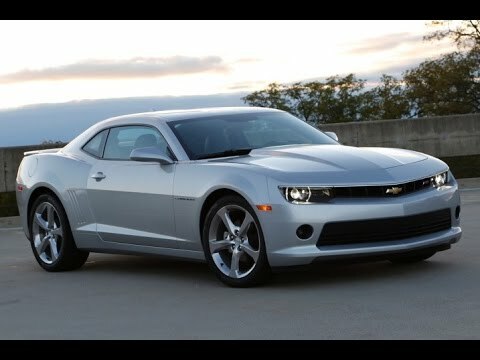 I always liked how the Camaro looked, it is very sleek on the outside, mine is silver and the interior is as well with the black coloring. One thing is that the visibility while driving is not great. The windows are narrow and you really have to get used to it when you first start driving. The sound system is amazing, I only wish the Bluetooth had media capability but the hands free calling is a helpful feature. Thankfully there is an AUX connection so that works for music. I have run into an issue recently with the sounds system however and apparently it is common where you get a loud speaker pop when turning on the car occasionally and there is interference with the blinker which causes static to come from the sound system in rhythm with the blinker noise. Otherwise the drives smoothly and is great on road trips. Fast, sleek, comfortable, and reliable. My Chevrolet Camaro has been a very reliable vehicle. I have owned it for over two years now, driven many long trips and I have not experienced any problems thus far. Great performance, excellent pickup, and an all around beautiful vehicle. It came with two sets of floor mats- one set carpet and the other set rubber. It features a surprisingly spacious trunk space for the size of the car. The only downside of the car that I have is that the visors do not block much sun, if any. Other than that I have nothing but positive things to say about this vehicle. The sport car for a big guy. I am a big person so I like the room it provides on the inside. The handling of the vehicle is very exceptional an fuel mileage is great. I have an ls model so no big bells and whistles but I do wish it would have better factory installed speakers. I ended up replacing them myself. I have been driving this car for 3 years in a very reasonable climate, but I do not recommend it in snow. This is not a vehicle I would service myself, I do believe it needs to be maintained by a professional. I would purchase this vehicle again.